The Kirkley Hotel and Conference Center on Candlers Mountain Road will be getting a facelift as its new owner, Runk & Pratt Companies, takes over. Under the ownership of Runk & Pratt, the 163-unit hotel is now under the flag of the Wyndham Hotel Group and their Trademark Hotel Collection brand. Day-to-day operations will be managed by Aimbridge Hospitality Management firm. Improvement plans include renovating the exterior of the building, updating the current rooms, and adding suites to the top floor. The ballroom and conference space will also undergo renovations, and the hotel’s restaurant, The Great Room, will introduce an expanded menu and enhancements to the dining area and catering services. Gov. Ralph Northam visited Lynchburg in April to announce that nuclear energy company Framatome will relocate its North American corporate headquarters from Charlotte to the Hill City. With this move, Lynchburg will now be the central hub for all North American Framatome employees, and local employment is expected to grow. Framatome currently has 1,300 employees in Lynchburg, 2,300 in North America and 14,000 across the globe. “The company’s decision to relocate its corporate headquarters is a testament to the importance of its major customers located in Virginia, as well as the key partnerships with our state and local universities and community colleges to ensure a skilled talent pipeline,” said Gov. Northam. “When it comes to recruiting, we have access to some of the best university programs in the country and the region offers a growing diversity of activities and opportunities that make this a great place to live and work,” said Framatome CEO Gary M. Mignogna. This announcement comes after AREVA NP rebranded as Framatome in January. In addition to new jobs announced in February, the Forest-based Innovairre announced they will be expanding, bringing another 30 high-tech positions to Bedford County. Innovairre specializes in fundraising, direct mail and marketing support for nonprofit organizations. At the core of the company’s Forest expansion are twin digital printing presses capable of printing more than 3,000 personalized, 8.5” x 11” images per minute. Both presses require a support team of operators, which will be among the new positions created. “These positions not only involve very advanced technology with the digital presses, they also involve some of the latest workflow automation systems. These really are 21st-century jobs,” said Don McKenzie, President and Chief Growth Officer. Central Virginia Manufacturing is growing its presence in Bedford County by investing $300,000 in an expansion, according to a press release from Gov. Ralph Northam’s office. 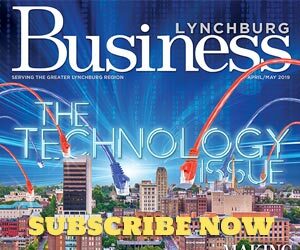 “Businesses of all sizes are thriving in Bedford County and the Lynchburg region due to competitive operating costs, robust infrastructure and transportation network, and a strong workforce,” said Northam. The expansion will create nine new jobs. The Bedford County Economic Development Authority will assist the company under a defined performance agreement tied to jobs and investment over three years. Liberty University will use a $300,000 grant to create Industry Labs at their Center for Energy Research & Education (CERE) in Bedford County. The grant was one of five regional projects funded through GO Virginia (Growth and Opportunity for Virginia) to diversify the respective regional economies, strengthen their workforce, and support collaborative programs between localities, public entities, and private businesses. The funding will help with the construction of four labs at CERE: a chemical/ material lab, an electromagnetic compatibility lab, a calibration lab, and a non-destructive testing lab. The labs will offer regional companies and institutions of higher education, including Liberty’s School of Engineering, the facilities necessary to promote research and development. “These labs will offer companies and partnering institutions of higher education the facilities necessary to promote research and development as well as to foster the attraction and retention of the scientific and engineering workforce that our community needs,” said Jonathan Whitt, Liberty’s vice president of special projects and business engagement. The labs also will be used by advanced manufacturing companies in the energy and technology sectors for testing, research, and workforce development training. Centra’s C. Michael Valentine, MD, FACC, is the new president of theC. Michael Valentine (ACC). He will serve a one-year term. Valentine is a senior cardiologist at the Stroobants Cardiovascular Center, where he specializes in cardiac catheterization and intervention, device placement and arrhythmia therapy, clinical quality, leadership and practice development. He first became involved with the ACC in 1993 and has worked his way up through the leadership ranks. The ACC is a 52,000-member organization with a mission to transform cardiovascular care and to improve heart health. Two local financial institutions are reporting strong profits in the first quarter of 2018. Pinnacle Bankshares Corporation, the Altavista-based parent company of First National Bank, reported record first-quarter profits of $1.072 million. Net income was up 31.2 percent from the first quarter of last year, from $817,000. According to Pinnacle, loan growth, an increase in investments and an increase in yield on earning assets led to the positive numbers. The company also says the Tax Cuts and Jobs Act, which was signed into law in December 2017 and lowered federal corporate tax rates, contributed to its growth in 2018. Meanwhile, Bank of the James Financial Group, the Lynchburg-based parent company of Bank of the James, reported a 48 percent jump in profit for the first quarter. The group’s net income of $1.12 million is up from $760,000 during the same quarter last year. Bank executives say growth in commercial and industrial lending and commercial real estate lending were the major contributors—the bank saw a 12 percent growth of interest income compared to the first quarter of 2017. BWX Technologies has signed a definitive agreement to acquire Sotera Health’s Nordion medical isotope business. The acquisition accelerates and de-risks BWXT’s entry into the medical radioisotope market by adding licensed infrastructure, approximately 150 highly trained and experienced personnel, and two production centers to BWXT. “[This] announcement demonstrates our ability to leverage BWXT’s traditional and unique competencies in radiochemical processing to expand into an exciting market with high growth potential,” said Rex D. Geveden, BWXT’s President and Chief Executive Officer. Subject to required Canadian and U.S. regulatory reviews and approvals, the acquisition of Sotera Health’s Nordion medical radioisotope business is expected to close by the end of 2018. Amateur to expert welders faced off at Central Virginia Community College during the school’s 1st Annual Welding Wars Competition. Competitors from high school, college and the professional level participated in the event at Campbell Hall on April 27. At the end of the day, an awards ceremony recognized top performers. Petty Livingston Dawson & Richards has a new location in downtown Lynchburg. Their office is located at 925 Main Street in what was formerly called the BB&T bank building. While the bank will continue its operations on the first floor, PLDR’s 11 attorneys and support staff will receive clients and conduct business on the newly renovated third floor. The building will be known as the PLDR Law building. “As we celebrate our 30th year in serving the legal needs of Lynchburg and the Central Virginia community, PLDR is pleased to be able to play a significant role in the continuing revitalization of downtown Lynchburg,” said Ed Dawson, president of the law firm.